Mostly slower than my first. 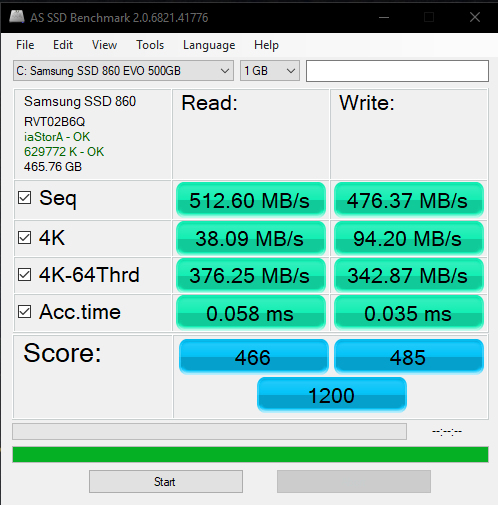 Anyway, obviously Optane is currently probably the fastest thing you can get, faster than these Samsungs, at least in benchmarks, so its not unexpected it by decent amount faster. AFAIK its by decent amount more expensive, LOL. 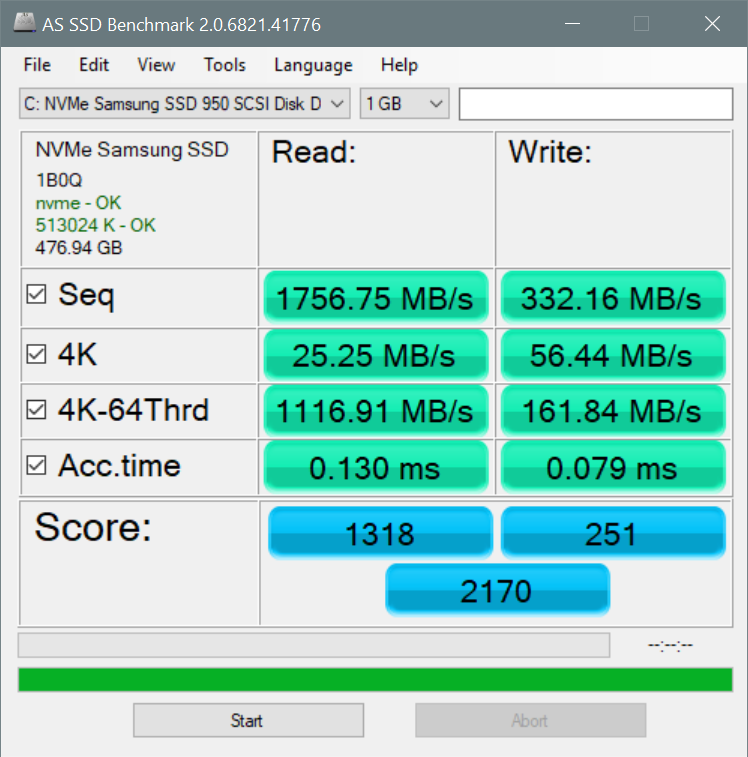 i don't think so ssd are jokes, they are much better than external hard drives and traditional SATA, programs load faster in them and boot up time of ssd is also good. 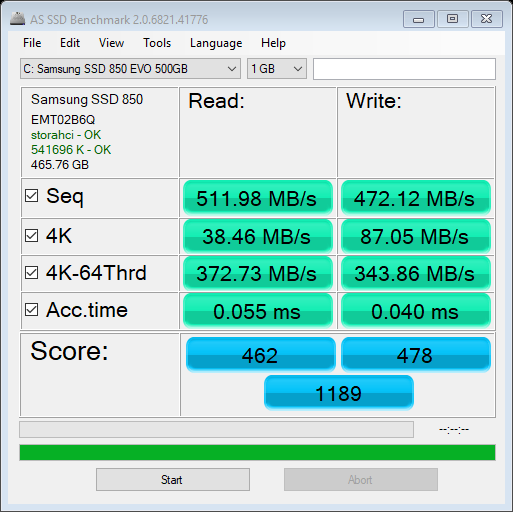 This is just a single Samsung SSD for comparison. Hmmmmm. 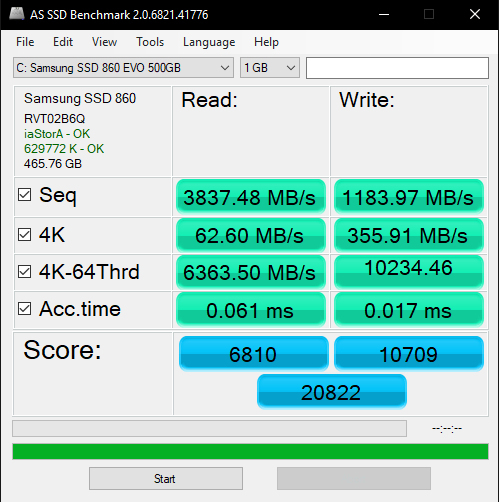 I just tested 2 different M2 cards and got much lower read speeds than you guys. Write speeds about even with Brad's. Wonder why mine are so slow? 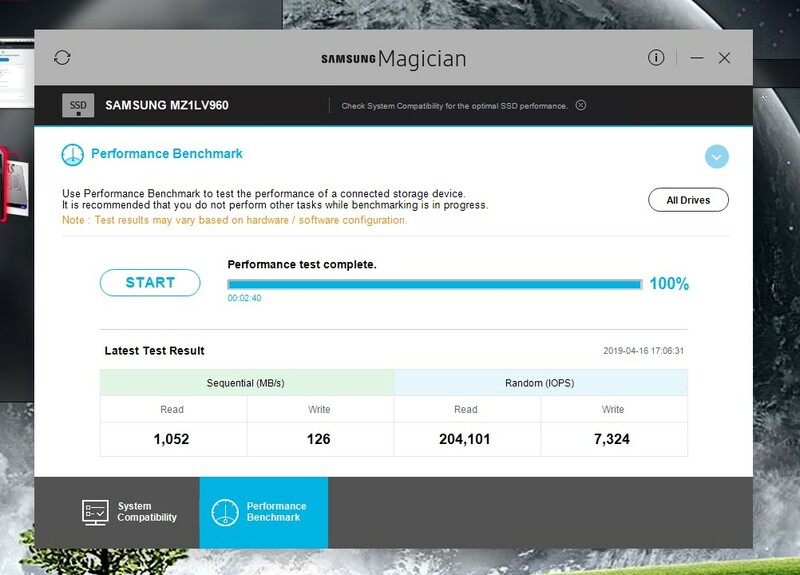 Those are awful low scores for a Samsung 860 EVO. Is you BIOS set to use AHCI mode? If not don't change it because your system won't boot if you change it. You'd probably have to set it for AHCI mode and completely reinstalled your OS to fix the speeds. Or, you don't have Rapid Mode turned on in Samsung Magician. I just read that the M.2 sata cards are about as fast as an ssd, whereas the M.2 pcie cards are super fast. I'm guessing mine must be sata. I will find out. Rapid mode can be turned on in the Samsung control panel. oK i HAVE A LAPTOP it is almost three years old I don't know what type of ssd I have how do I find out. if i have a rapid mode or not, and how do I find out if it is on? You can look in the Device Manager under Disk Drives. How do I turn on Rapid mode on a Sandisk. Well, as far as I know, rapid mode translates to AHCI mode. It is set in BIOS, and if it is not on, you can't turn it on without a reinstall. If you do, windows won't boot. OOPS, I missed that Samsung has a rapid mode. I wasn't aware. What software is needed for that? 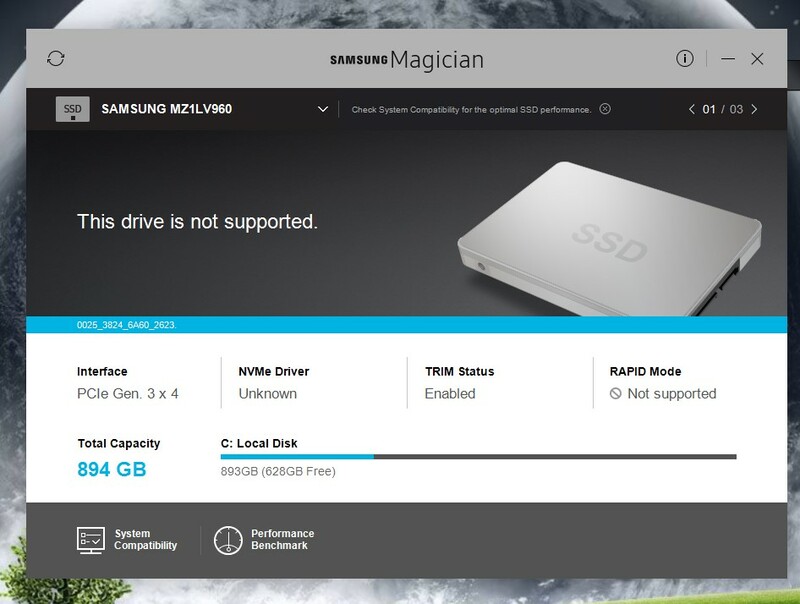 Samsung Magician, not sure if its true for all Samsung SSD Model. I don't know if it has Rapid mode. Might be called something else. Thanks! Downloaded and installed. Does not appear (as far as I can tell) that there is a rapid mode setting. 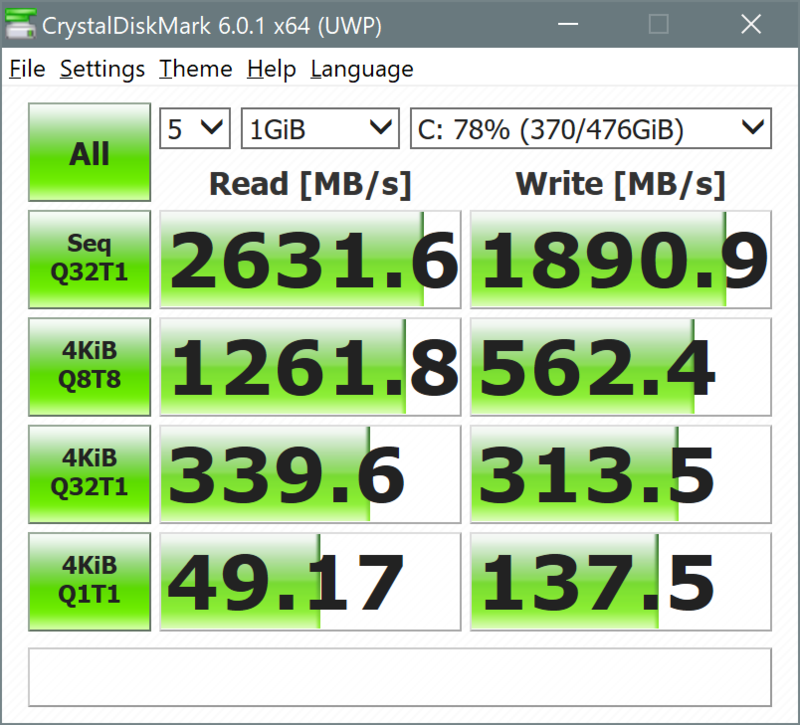 But then my SSDs have seemed lightning fast compared to my old hard drives. Check out Harddisk Sentinel. An absolute brilliant program... and the author provides superb support. I am running it on both my machines which are mixed H/D and Samsung SSD;s and it keeps a fantastic eye on it. If you have a NAS on yr LAN, it can also monitor the HD's or SSD's in your NAS. 30 day trial recommended by the author and not expensive to buy after trial. And i.m.o… worth every single penny. 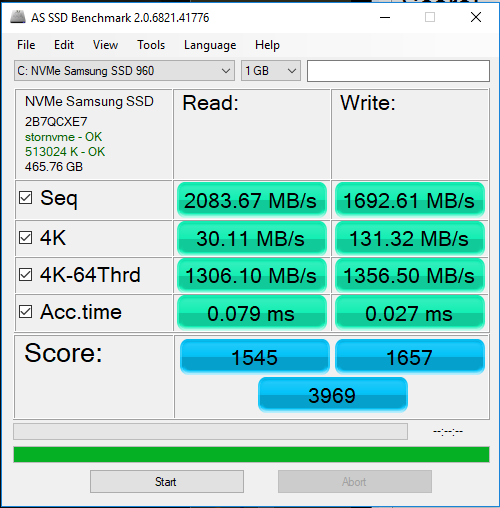 Going to an SSD is probably the most day and night upgrade you can get on a PC if you have been using an HDD this entire time. Here's on my home machine. Just updated to the latest firmware. Crazy things for you to double check real quick "Sorry I skimmed and didn't read the full content of every reply"
To get the best performance out of your solid state especially boot performance I suggest the following items. Update and configure your Bios for the optimal settings... IE AHCI on for your SATA/SAS drives, unless they are being utilized by a hardware raid controller. Setup garbage collection "Not really an issue anymore after Windows 7"
For the most part it's the same as the above with two very vital BIOS configuration changes. Set them to the specific config of your purchased Solid State Drive and don't rely on "Auto" for either. Can't understand why an M.2 card wouldn't be supported. Crazy question, what's the part number of your SSD? 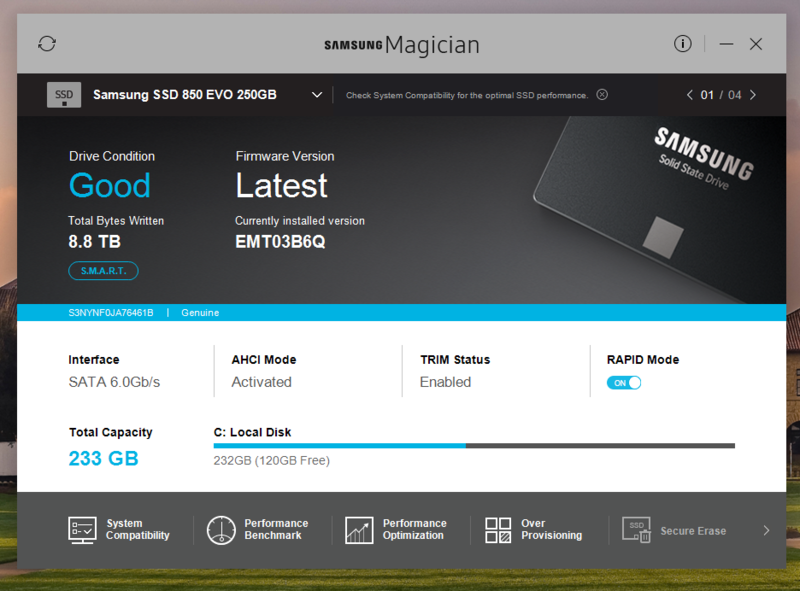 A quick google search brings up Enterprise class solid states which could be the issue as the consumer version of Samsung Magician may not have support for Enterprise class drives. Not sure on part number. I bought it used, no packaging. 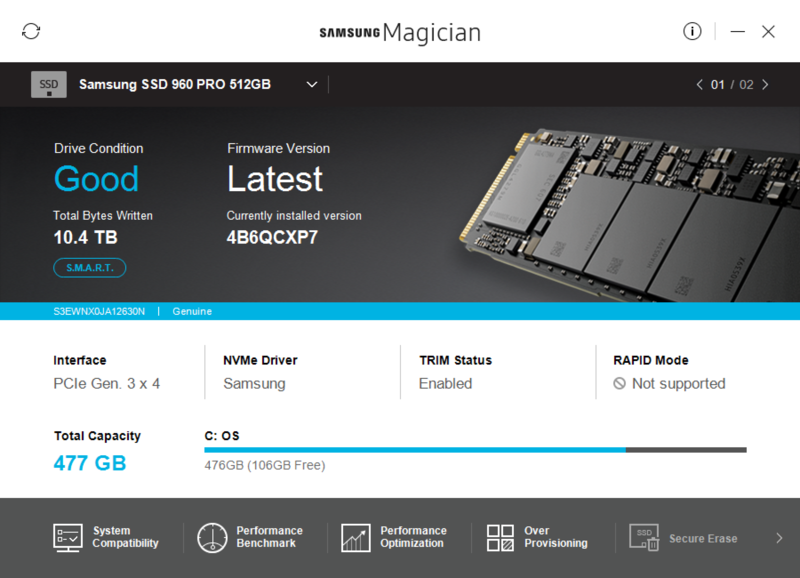 Here is what Samsung Magician says.